I used to just call it Coconut Cake but I decided to call it "The Real Coconut Cake" from now on and with legitimate reasons. 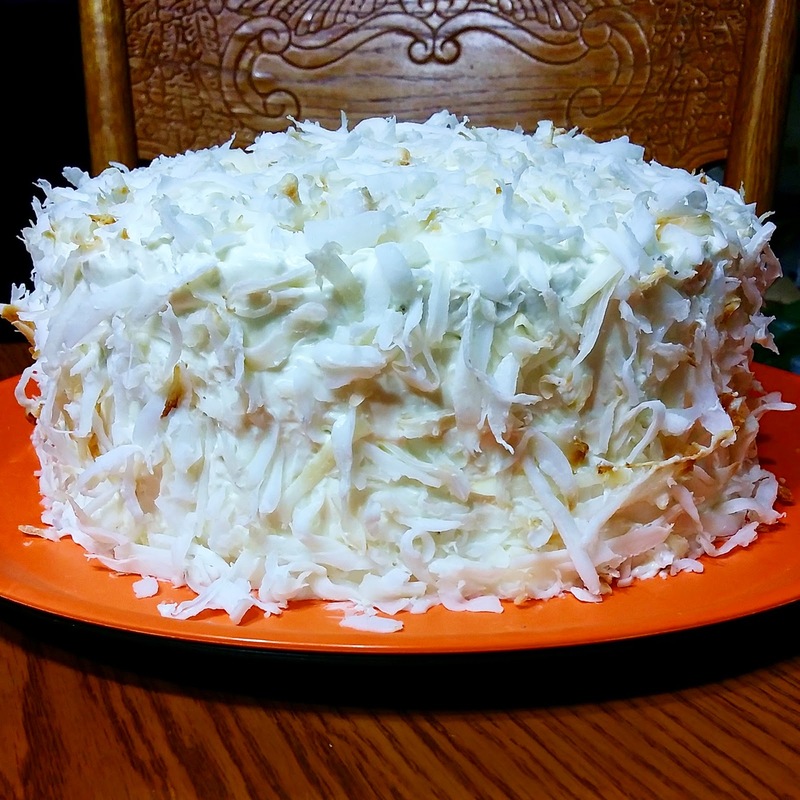 Yes, it is the usual 3-layer affair with cream cheese frosting but I take pride in my version because I use only fresh young coconut for the cake and I think I’m the only one who does that. It’s not the sweetened coconut flakes that you get from the baking aisle at a grocery store but unsweetened, succulent, freshly grated young coconut. 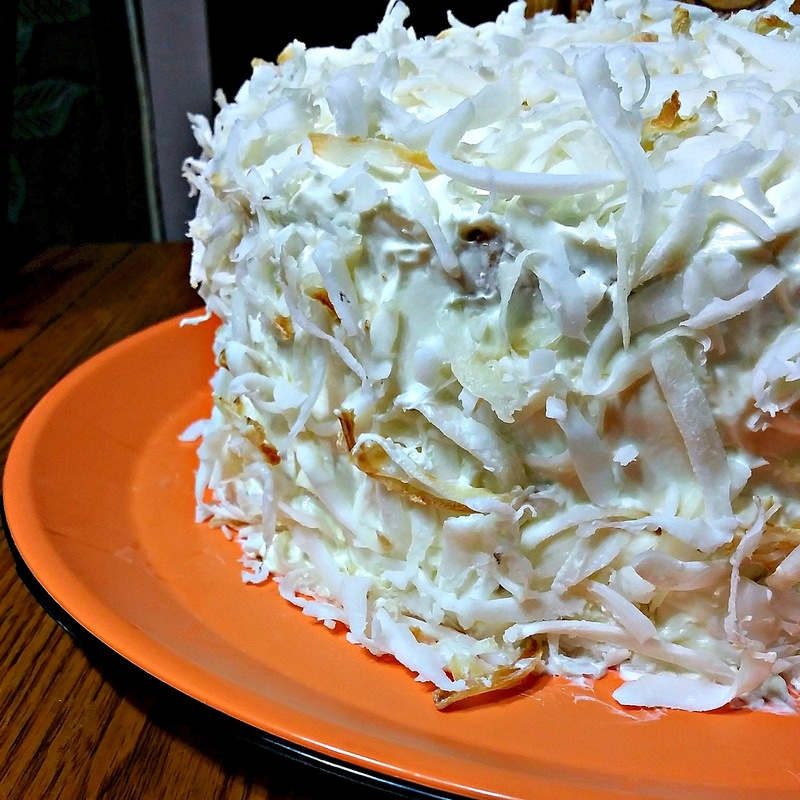 I’ve been making my coconut cake this way and it’s been on my most requested list since I started making it. I can switch from using angel food to sponge or chiffon cake base with the same delicious results. It’s all about the young coconut! And of course the frosting which is not cloyingly sweet that you want to eat more of it. So I made this for Claudia's birthday which is yesterday but we decided to celebrate today when the whole gang's present. 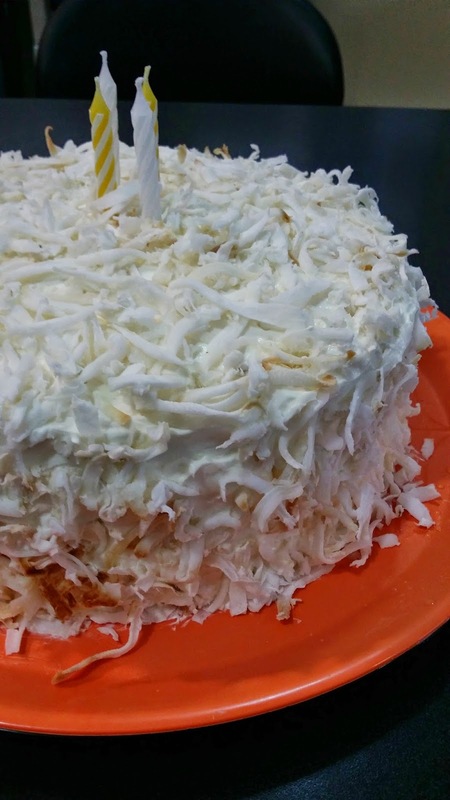 So far I've been making her birthday cake every year and she loves coconut so what could be more fitting than coconut cake - "the real coconut cake"? Sift together flour, baking powder and baking soda- set aside. In another large bowl, beat the sugar, butter and oil until light and fluffy. Add flour mixture alternately with milk making sure to beat well after each addition. For the young coconut, you can either get them fresh. Scoop with a spoon from the shells, cut into thin strips before chopping into small pieces or get the frozen ones at the Asian market. Just thaw, drain then spread in a baking pan and bake in the oven at 400 degrees F for about 18 minutes. The process does not toast the coconut- just to dry the exterior without taking away the moisture inside. Here’s another case of the old phrase “the proof of the pudding cake is in the eating”. 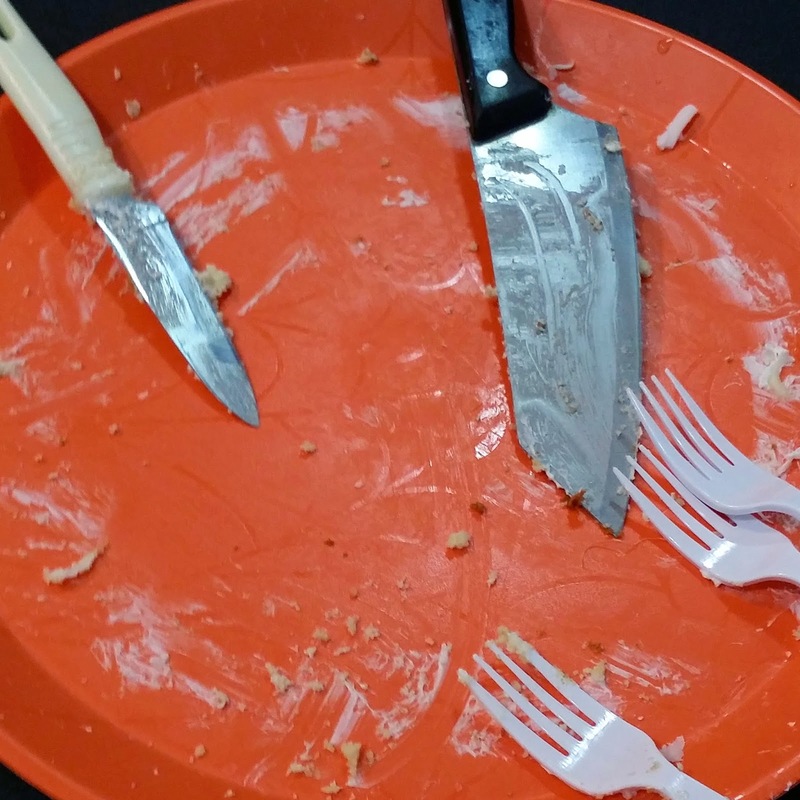 It wasn't even enough for everyone.